Sh. Hari Krishan Bimbraw started his business carrier in 1964 with Anant Group. Sh. Hari Krishan Bimbraw was the only person who knew the technical developments in the industry of Wood Working Machinery. 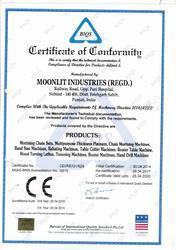 Then he started his own firm by the name of Moonlit Industries (Regd.). The contributions of Mr.Manoj Bimbraw and Mr.Yogesh Bimbraw, sons of Sh. Hari Krishan Bimbraw, have supplemented the much-needed support to take the company to today's position. Moonlit Industries (Regd.) is a well-known name in the Woodworking Machinery industry with its quality products used across India and the world. The company markets all its products under its popular brand PRINCE. We have our business throughout the world. We have business with reputed exporters and suppliers across various developing and developed nations across the world. 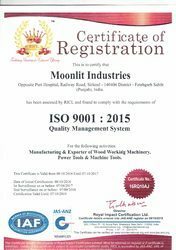 The Company is achieving new heights under the dynamic leadership of the team of Moonlit Industries (Regd. 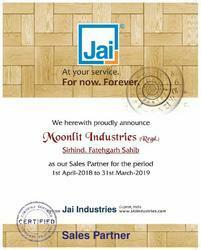 ), This can be attributed to their understanding and in-depth experience in the technology of Woodworking Machinery and today Moonlit Industries (Regd.) stands for quality, perfection, precision, and durability. 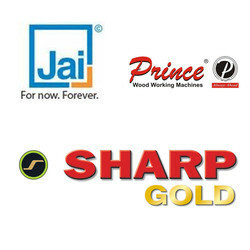 The company markets all its products under its popular brand PRINCE, SHARP GOLD & JAI (SALES PARTNER). Our happiness lies in the satisfaction of our customers and we strive to provide our best to make your experience worthwhile. Moonlit Industries (Regd.) strives to provide new and quality products to customers in the 21st century. Vast clientele base is garnered by us across the national and international market, owing to the premium quality products offered by us at reasonable prices. Our products are not only demanded in national market but in global market also. With each coming day, we are receiving bulk orders from the customers and various new names are including in our clientele list. The squad of highly trained professionals is serving us in making quality products available to customers at reasonable prices. They conduct researches on the are understand regular basis so that we can offer premium quality products at reasonable prices. Needs are understood by maintaining close communication with them and then serve them accordingly. Owing to their support, we are able to provide better after sales services to customers. Since establishment, we are engaged in offering the quality array of machines. We fabricate them in accordance with the customer’s demands and needs. Well-equipped infrastructure along with experienced team has helped us to serve the customers in a prominent manner.